What a celebration of books and reading we had this week at school! 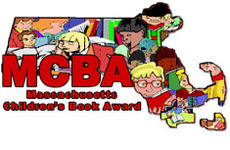 Thirty-five fourth and fifth graders participated in the Massachusetts Children’s Book Award reading program this year. Eleven students read all of the twenty-five books that were nominated. The discussion was spirited, and when the voting was finished, there was a tie for the best book between The Land of Stories: The Wishing Spell by Chris Colfer and Escape from Mr. Lemoncello’s Library by Chris Grabenstein. In The Land of Stories, twins enter a magical world of fairy tale characters through a special book. Grabenstein tells the story of a group of children who stay overnight in the new town library designed by Luigi Lemoncello, a master puzzle maker in Mr. Lemoncello’s Library. They form teams to solve his master puzzle. It will be interesting to learn the statewide voting results later this month.